Plant Evolution in the Mediterranean integrates a diverse and scattered literature to produce a synthetic account of plant evolutionary ecology. 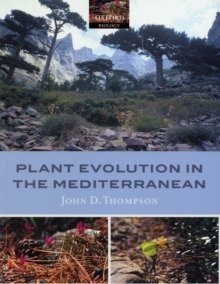 The central theme is differentiation, both among and within species in the contemporary flora of the Mediterranean basin. This approach is developed by attempting to link population processes to species evolution, and by examining the variation and evolution of ecological function in the context of spatial habitatvariation and regional history. This accessible text explores the evolutionary processes which have shaped plant evolution in the context of these major influences on vegetation.